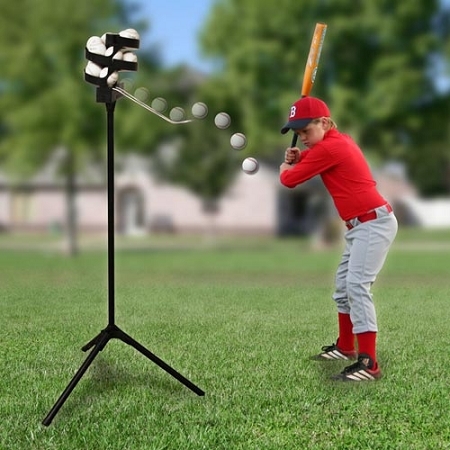 Practice perfecting your swing with the Heater Sports Big League Drop Toss Machine. This affordable drop toss machine comes with a 12-ball auto ball feeder, a battery compartment and a power adapter so you can plug it into and outlet for extended use. 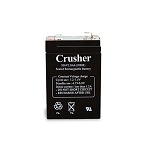 It can also be powered by an 8 hour rechargeable battery (sold separately) or four C batteries. Use it with regulation baseballs, dimpled baseballs, lite baseballs or soft baseballs. 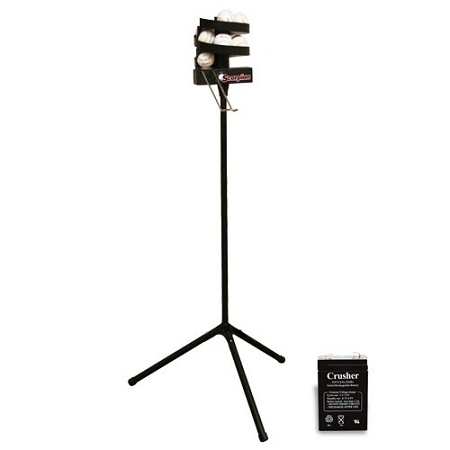 Its durable lightweight steel stand along with the battery powered option makes this drop toss machine extremely portable. You can count on the Big League Drop Toss to deliver the perfect pitch every time. For the ultimate in portability, be sure to check the box above the Add to Cart button and add an 8 hour battery to your order. 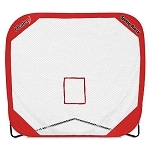 This will give you 8 hours of non-stop use of your Big League Drop Toss machine without having to be plugged into a wall. 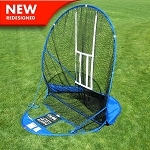 To ensure your satisfaction, the Heater Big League Drop Toss Machine includes a 30 Day Money Back Guarantee. 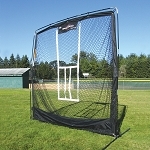 Big League Drop Toss machines are also backed by a Full 1 Year Warranty that includes repair, replacement and labor. No matter where you order a Big League Drop Toss Pitching Machine from, NOBODY actually stocks them; they all ship directly from the manufacturer's warehouse located in St. George, Utah. Therefore, the shipping time frame is exactly the same no matter what website you order from (we hope that it is this one!). Heater Big League Drop Toss Pitching Machines typically take 2-4 business days to ship from the time you place your order. They ship via Federal Express (FedEx) Ground and could take anywhere from a day or two to a week to get to you AFTER being shipped, depending on your proximity to their warehouse. We will notify you of your tracking number the moment we receive it from the manufacturer's warehouse. Click here to download an easy to read, printable PDF of the Heater Big League Drop Toss Machine Owner's Manual.